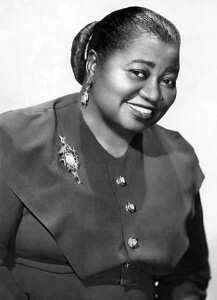 Marc talks about what happened on this day in history, including the day US Marines landed on Cuba during the Spanish-American War, the day the Six Day War ended, and the day actress Hattie McDaniel was born. 1692: Salem witch trials: Bridget Bishop is hanged at Gallows Hill near Salem, Massachusetts, for “certaine Detestable Arts called Witchcraft & Sorceries”. 1793 – French Revolution: Following the arrests of Girondin leaders, the Jacobins gain control of the Committee of Public Safety installing the revolutionary dictatorship. 1851: California treaty – According to the COSTAN internet one in a series of treaties with California Indians will be signed today at Camp Persifer F. Smith. The treaty’s purpose was to guarantee reserved lands and protections from the Europeans. 1854 – James Augustine Healy, first Black American Roman Catholic bishop, ordained a priest in Notre Dame Cathedral, Paris. 1854 – The first class of United States Naval Academy students graduate. 1861: Dorothea Dix appointed Superintendent of Female Nurses, Union Army. 1872: Unions legalized in Canada. 1898 – Spanish–American War: U.S. Marines land on the island of Cuba. 1916 – An Arab Revolt against the Ottoman Empire led by Lawrence of Arabia breaks out. 1935: Dr. Robert Smith takes his last drink, and Alcoholics Anonymous is founded in Akron, Ohio, United States, by him and Bill Wilson. 1937: The mayor of Monroe, Mich. organizes a vigilante mob of 1,400 armed with baseball bats and teargas to break the organizing picket line of 200 striking workers at Newton Steel. The line is broken; eight are injured and hospitalized. Sixteen workers’ cars were vandalized, five cars overturned, and eight more were dumped into the River Raisin. 1940 – Harlem’s Cotton Club closes. 1944 – In baseball, 15-year old Joe Nuxhall of the Cincinnati Reds becomes the youngest player ever in a major-league game. 1963: President Kennedy signs a law mandating equal pay to women who are performing the same jobs as men (Equal Pay Act). 1964 – U.S. Senate imposed cloture for first time on a civil rights measure, ending Southern Filibuster by a vote of 71-29. Civil rights bill, with public accommodation and fair employment sections, was signed by President Johnson on July 2. 1967 – The Six-Day War ends: Israel and Syria agree to a cease-fire. 1972: An Act of Congressional today (17 stat. 391) will further define the SAUK and FOX reserve in Kansas. 1972: Sammy Davis Jr started a three week run at No.1 on the US singles chart with ‘Candy Man’, his only US No.1. The song was taken from the film ‘Willy Wonka and the Chocolate Factory’. 1977 – James Earl Ray escapes from Brushy Mountain State Prison in Petros, Tennessee, but is recaptured on June 13. 2003 – The Spirit Rover is launched, beginning NASA’s Mars Exploration Rover mission. 2013: Former CIA technical worker, Edward Snowden, was identified as the source who leaked information about the NSA’s Prism program to the UK’s Guardian newspaper. Snowden leaked information related to the United States’ phone and internet secret surveillance programs. Snowden revealed these details out of what he believed was moral obligation to the public. 1760 – Birthday of Richard Allen who was born a slave near Philadelphia. He would later found the African Methodist Episcopal Church. 1910 – Rhythm & blues singer Howlin’ Wolf is born Chester Arthur Burnett in West Point, MS, USA. His most popular and influential songs include “Smokestack Lightning” and “Killing Floor”. 1941: Born on this day, Shirley Owens, The Shirelles, (1961 US No.1 & UK No.4 single ‘Will You Love Me Tomorrow’). 1947 – Ken Singleton, American baseball player and sportscaster. 1961 – Maxi Priest, English singer-songwriter. 1971 – Bobby Jindal, American politician, 55th Governor of Louisiana. 1973 – Faith Evans, American singer-songwriter, producer, and actress. 2001 – Sasha Obama, American daughter of Barack Obama. 1927: Victoria Woodhull died in England (free love advocate, feminist, editor, stockbroker, and fortune-teller). 1946 – Jack Johnson, heavyweight boxing champion died. 1982: Addie Harris from The Shirelles died of a heart attack after a show in Atlanta. 1961 US No.1 & UK No.4 single ‘Will You Love Me Tomorrow’. Became the first all-girl group to have a number one single on the Billboard Hot 100. 2004: US singer, songwriter Ray Charles died aged 73. Glaucoma rendered Charles blind at the age of six. He scored the 1962 UK & US No.1 single ‘I Can’t Stop Loving You’ plus over 30 other US Top 40 singles and the 2005 US No.1 album ‘Genius Loves Company.’ Charles who was married twice and fathered twelve children by nine different women appeared in the 1980 hit movie, The Blues Brothers was also the winner of 17 Grammy Awards.